I developed a major craving for Chinese food while in Europe as the cuisine isn't particularly widespread in that region and prices are prohibitively expensive. 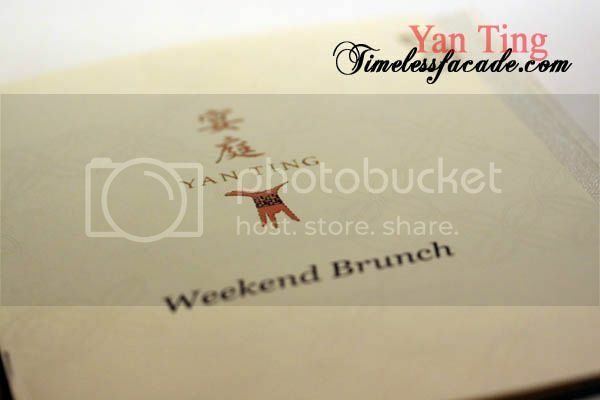 It was with much anticipation that I decided to pamper myself with a trip to Yan Ting for its weekend brunch buffet, having been there a couple of times for its dim sum and ala carte meals. If you are looking for the fruit juice/tea option, expect to pay $88++/pax while the champagne deviation will set you back by $118++/pax. 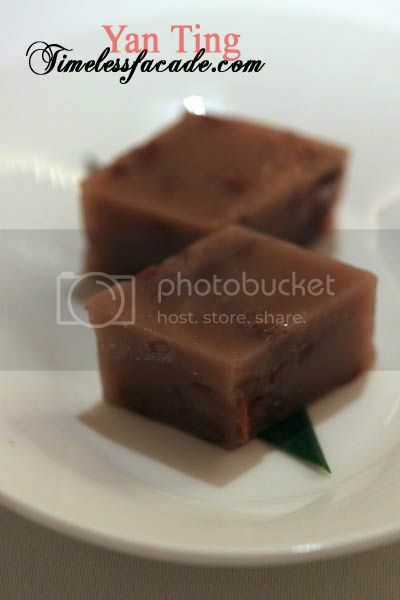 For that price, you get a bowl of shark's fin, 1 half of a lobster done in a choice of 4 ways and unlimited orders from the special dim sum/ala carte menu (the xiao long bao isn't in it though). 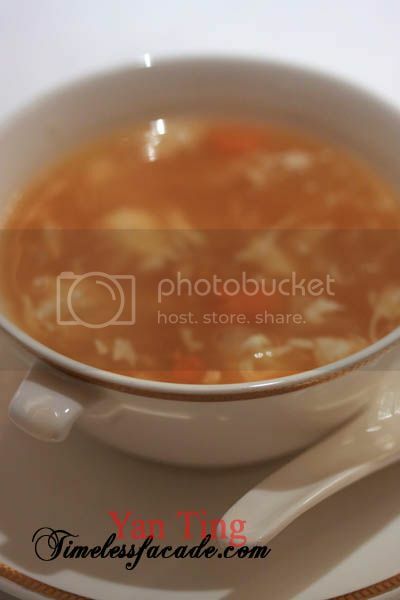 Decent and not too starchy, the soup looked a tad orangey but came loaded with a generous serving of crab meat and loose pieces of fins. One bowl should suffice. I had my lobster gratinated with cheese and bacon, which suited me just fine with its plump juicy flesh coupled with a nice cheesy after taste that hinted strongly of bacon. A marvelous combination if you ask me. And it definitely helped that the lobster was relatively sizable, not the mini ones you usually get. The bane and joy of my life - the sinisterly delectable roasted pork, done to a perfect (and very much audible!) 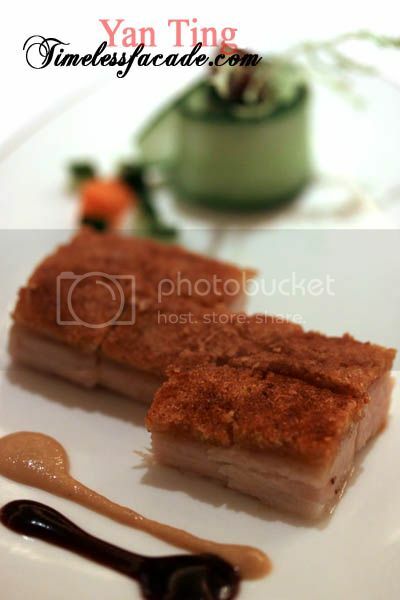 crisp on the outside with a thin layer of fats accentuating both the texture and taste. 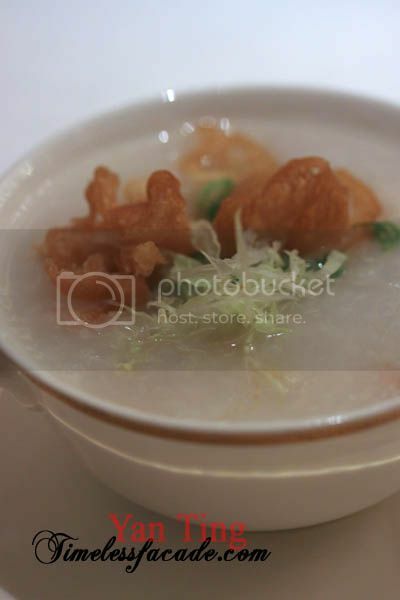 Apart from the slightly chewy chicken slices, this congee wasn't much of a reorder candidate. But still, a nice break from the monotony of just eating food, suitable for people like me who require some form of carbohydrate at some point during the meal. Unbearably oily was the first thing that came to mind as I popped a mouthful of the rice rolls to try. 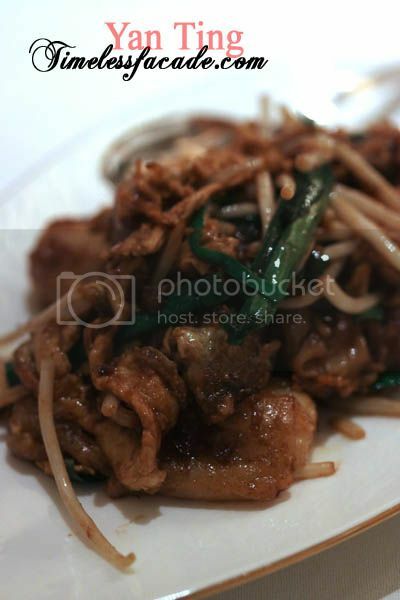 Insipid and totally uninspiring, bearing a faint resemblence to our local fried kway teow. 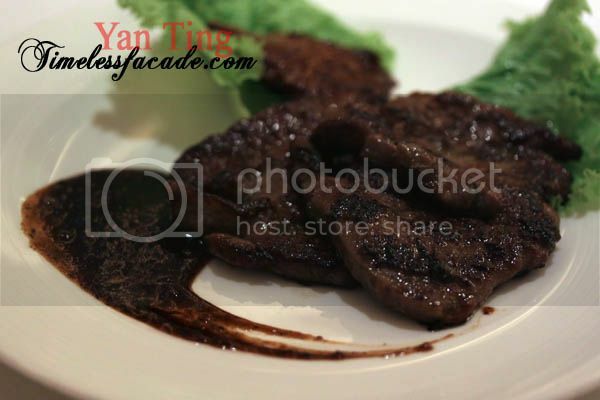 The beef slices were a little too soft for my liking and carried a discernible taste of garlic mixed in with a dash of sweetness from the honey as well as a whiff of pepper. Not exactly something that I would order again. 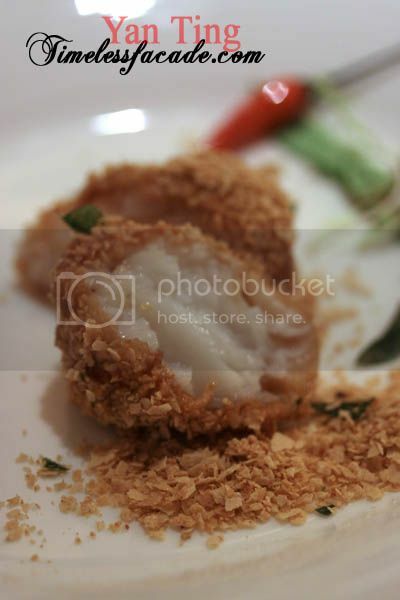 I thought that this dish tasted uncannily like cereal prawn, albeit with the prawn being substituted by cod. The fish was smooth and sweet with the cereal providing an added sweetness and crunch. A pity the fish was a wee bit too soft though. 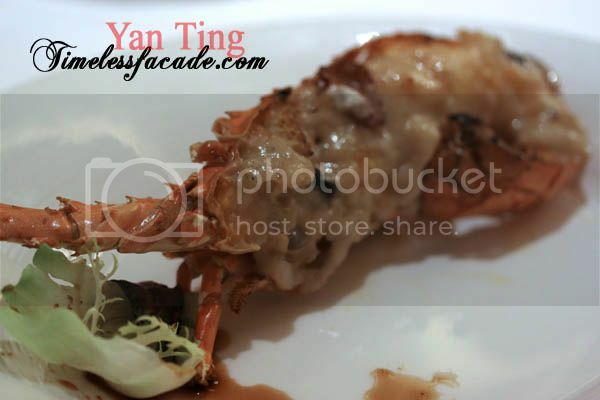 A simple yet well executed dish in my humble opinion. 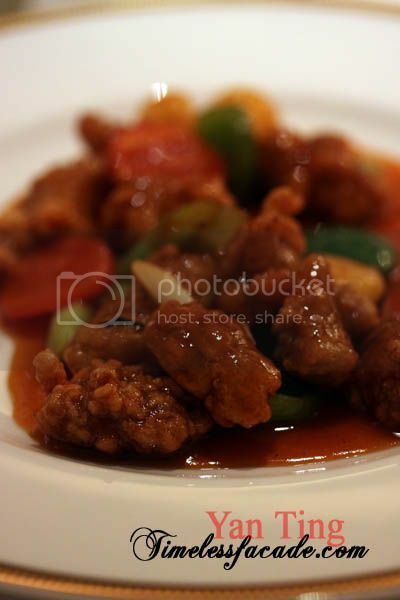 Minimal fat meat and little flour meant a more fibrous texture with the contrasting tinges of sweet and sour. My absolute favourite and one which I personally proclaim to be one of, if not the best char siew sou in Singapore. 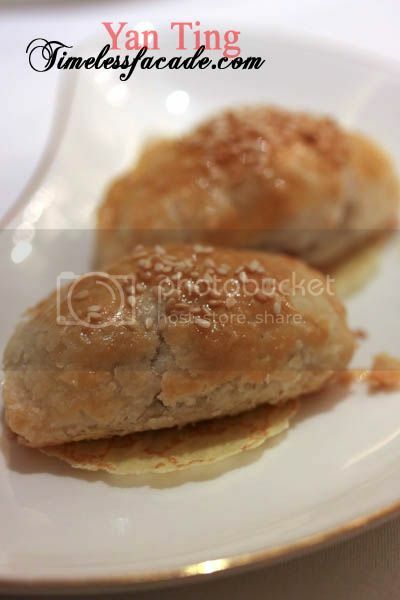 Flaky crust with a distinct taste of buttery goodness and a not too coagulated char siew filling. This I had seconds. This actually reminded me of what I had at Guy Savoy, just a lot softer and more glutinous like. What I found interesting was the fact that the marshmallow melted into nothingness in my mouth and left a lingering aftertaste of lime. Frankly, I regretted ordering this dessert. 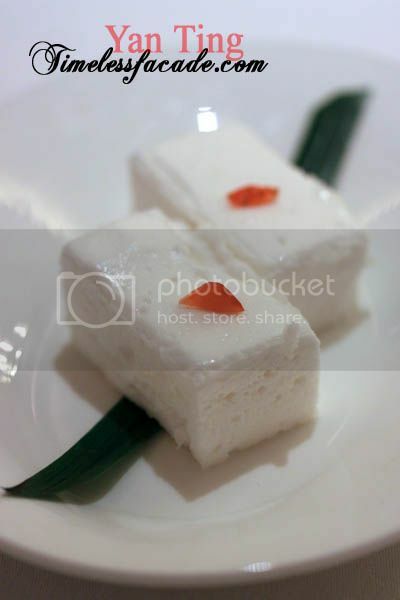 There was nothing special to it and tasted pretty bland to me, just like a piece of chilled kueh with red bean in it. 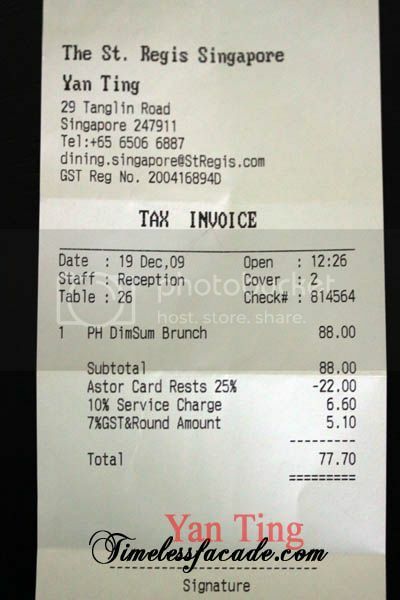 After a hefty 62.5% discount, the total bill for 2 came up to almost $78 ($207 before discount). Without the discount, I wouldn't say that it was worth it, considering that the most expensive (limitless) item on the menu was probably the soon hock. Although it's nice to indulge in a buffet once in a while, I will be sticking to Yan Ting's dim sum or ala carte menu in future. ps: This will be my last post of 2009 and I'll be on holiday for the next couple of days. I'll update again when I get back. Here's wishing everyone a fantastic 2010! Decadent, sinful, yummy. 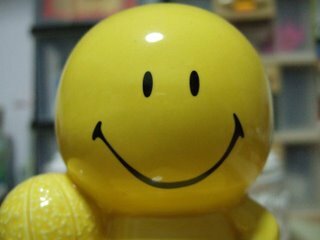 Have a great 2010. Hope to keep seeing more posts.